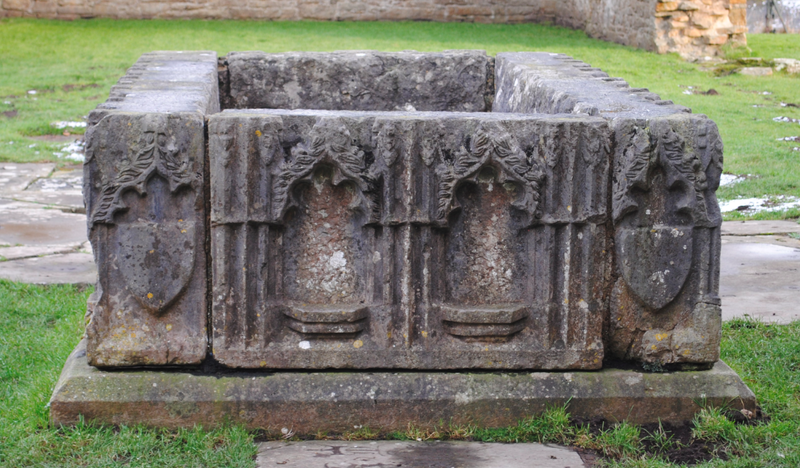 Positioned in the crossing of Egglestone Abbey is a 15th century monument to Sir Ralph Bowes. 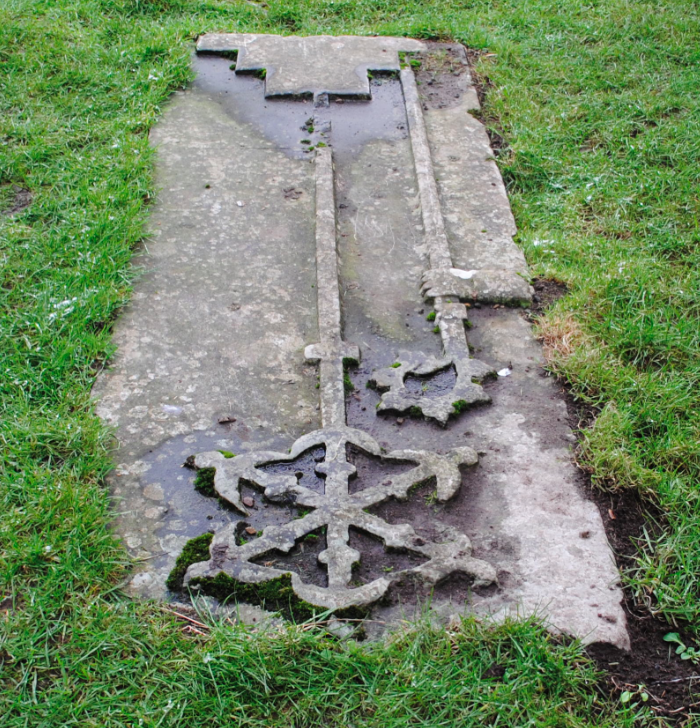 The knight was Sheriff of Durham and died in 1482 in Streatlam. The monument is a black stone table tomb chest with arcaded sides. The niches have no preserved figures and the top of the tomb is missing. The monument was moved from Rokeby Park to Egglestone Abbey in the 1920’s. 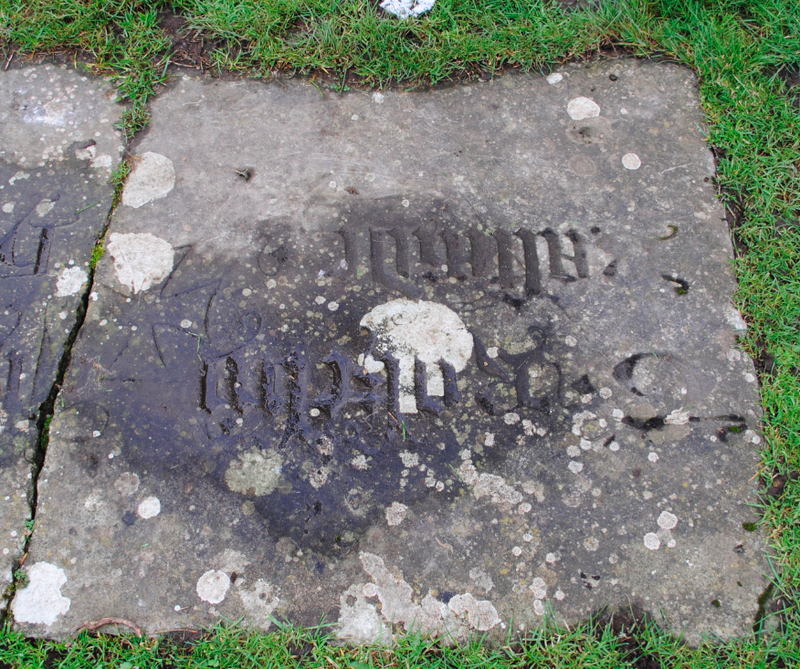 Close to the monument to Sir Ralph are several stone tomb slabs of unknown abbots. The above slab details a cross fleury carved in relief and features a crozier to the side.